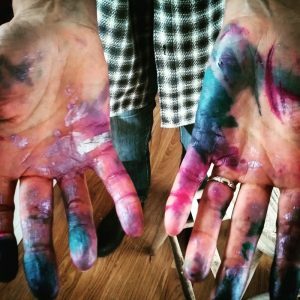 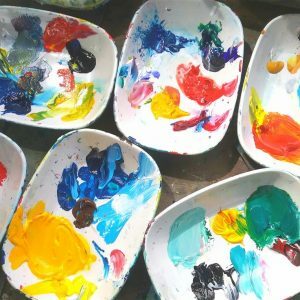 A design teacher for years, Julie saw that many people who had enjoyed being creative in the past (often at school) were afraid to try their hand again, lacking in confidence to just have a go. 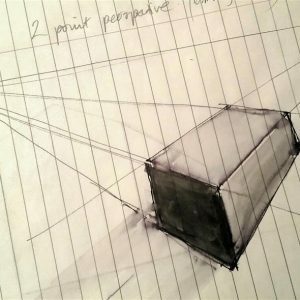 She set about devising lessons based more on tricks and techniques that would allow everyone to produce work of value. 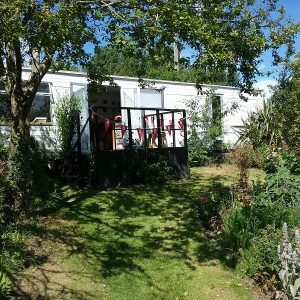 Before long she was teaching groups in a newly converted mobile-home studio set in the beautiful West Wight. 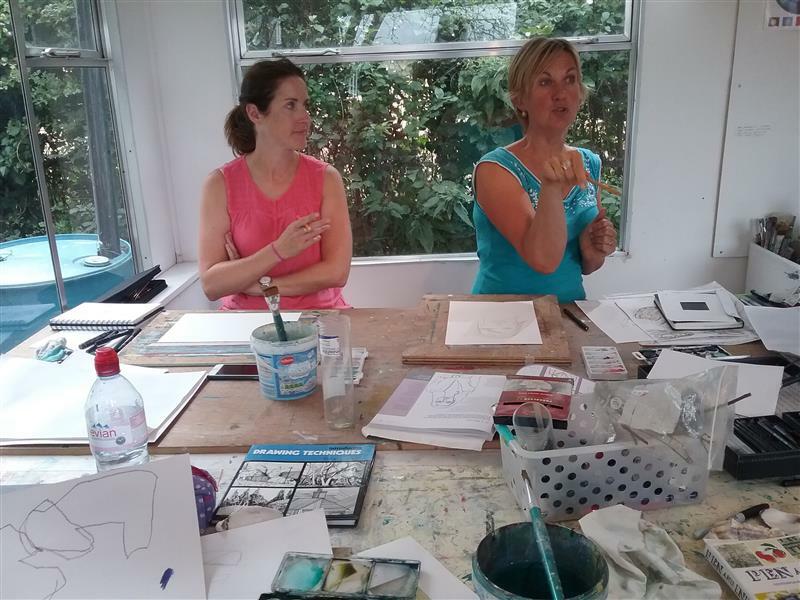 The art classes are small and friendly (seven is the maximum) enabling each student to have plenty of teaching input. 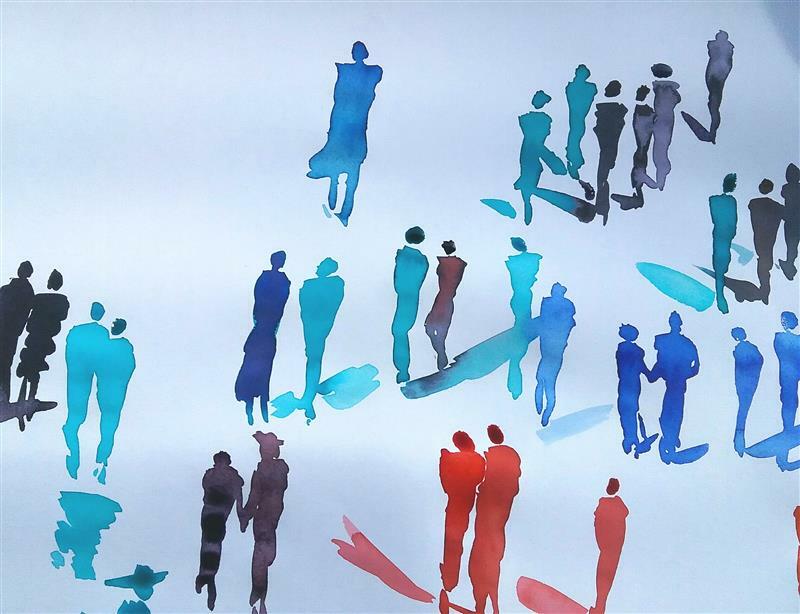 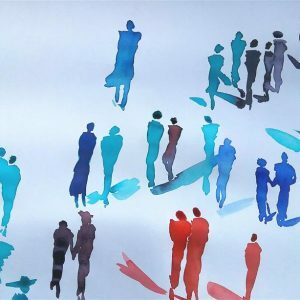 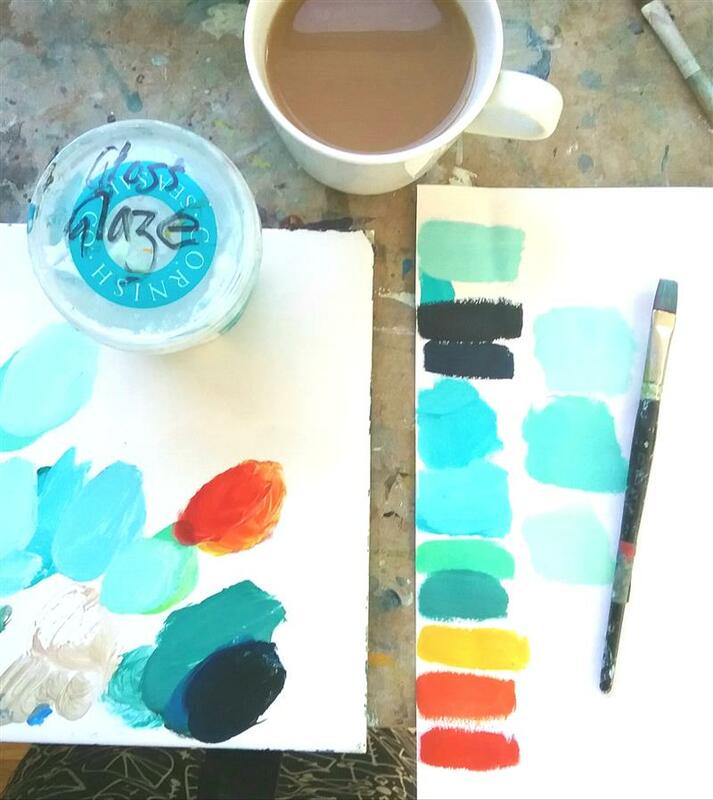 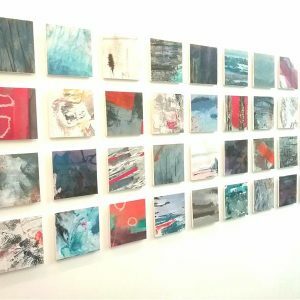 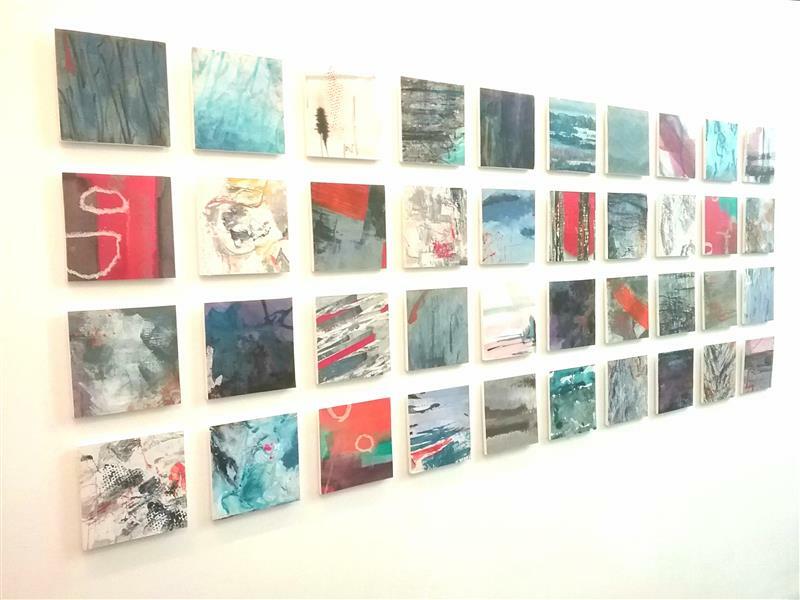 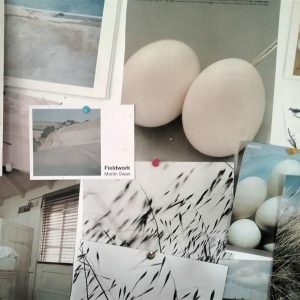 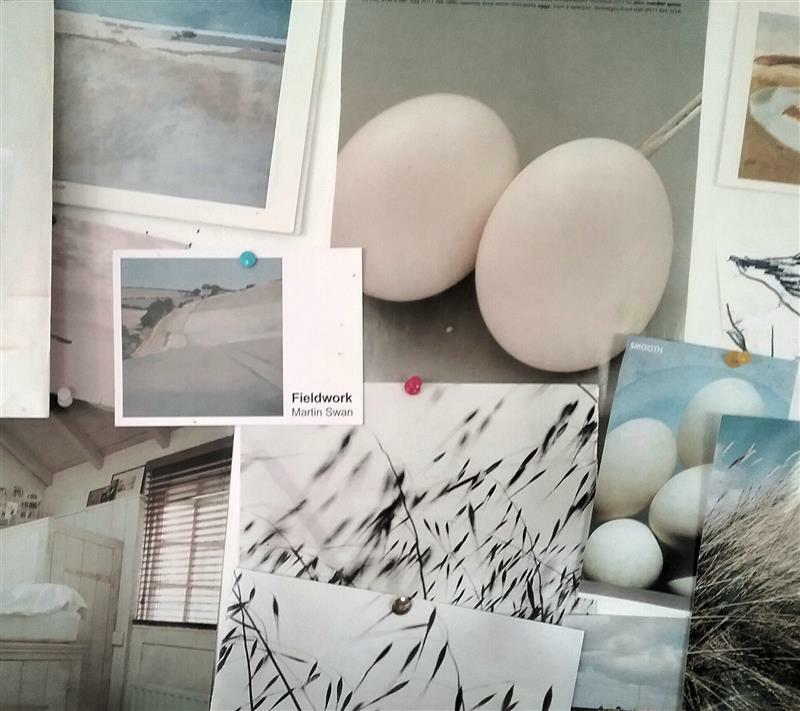 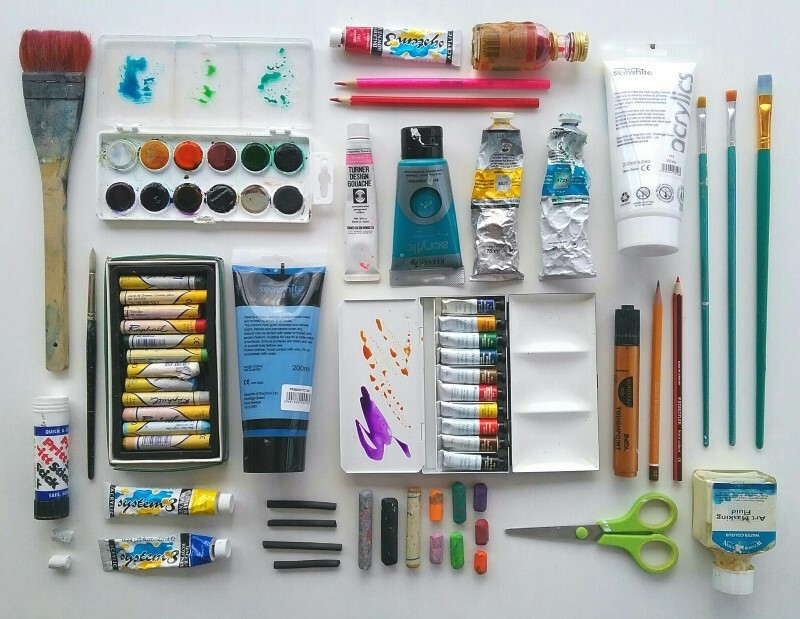 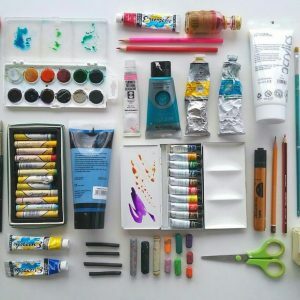 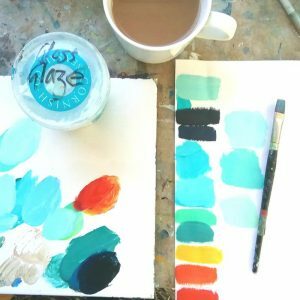 They cover all manner of topics from colour theory to painting, pen and wash, collage, printmaking and drawing. 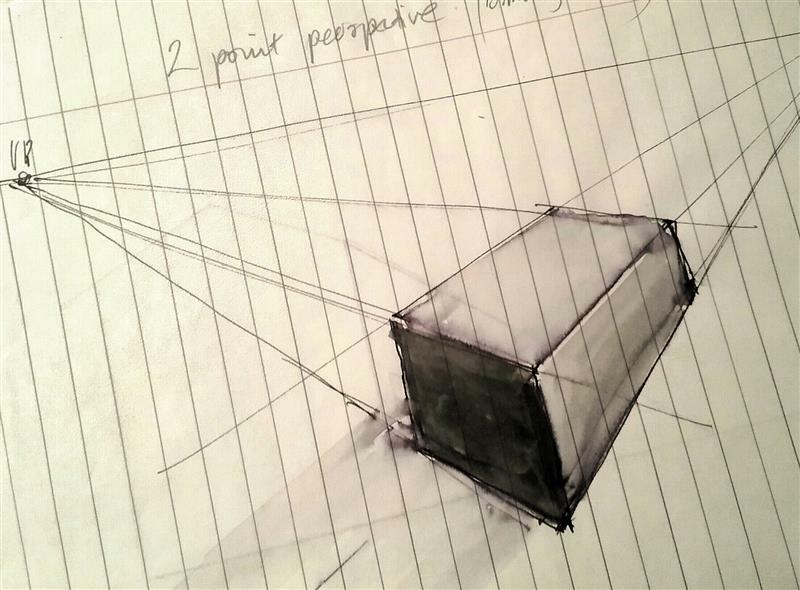 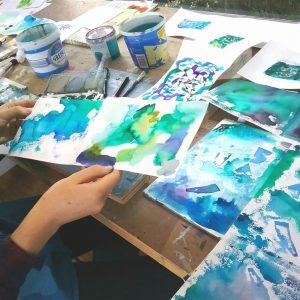 By using techniques in a less traditional way, the students often discover skills they didn’t realise they had, thus building confidence and allowing them to develop a personal style. Most students forget their initial fear after the first session and several have now gone on to sell their own work. 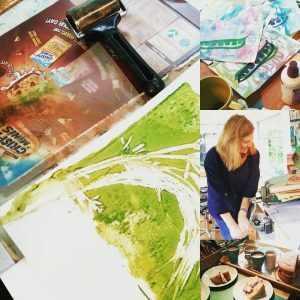 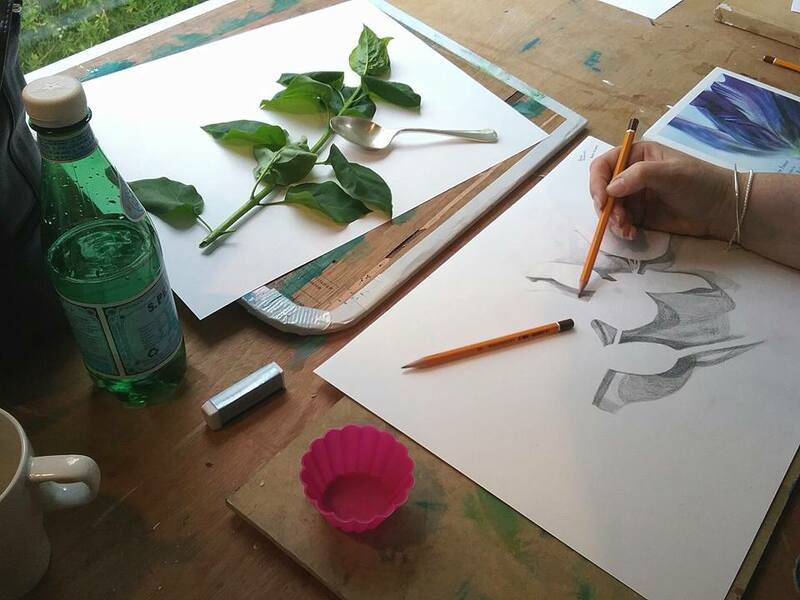 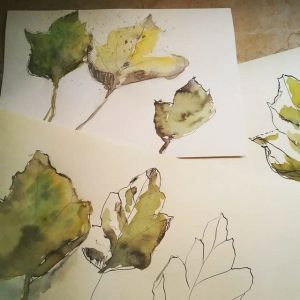 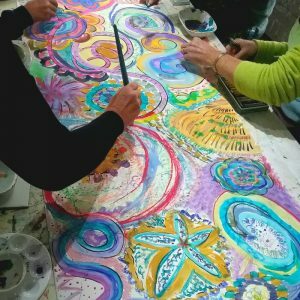 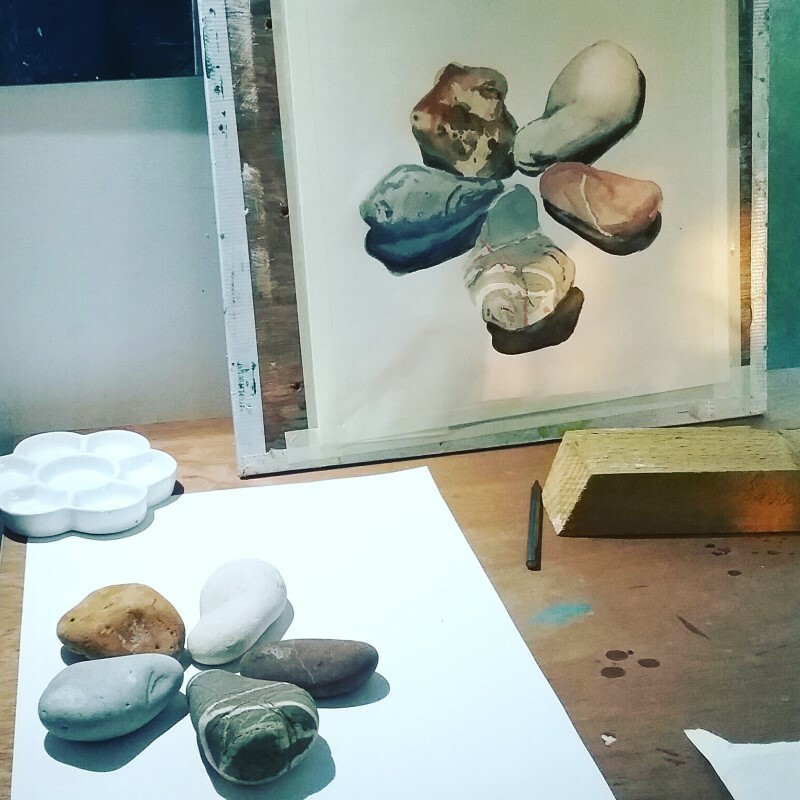 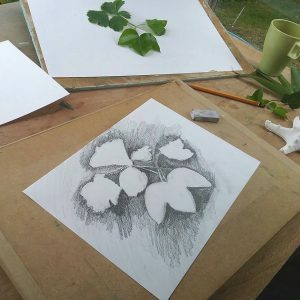 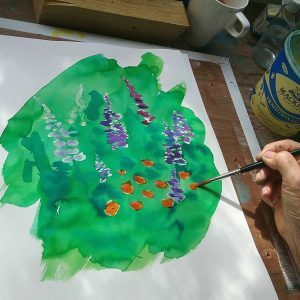 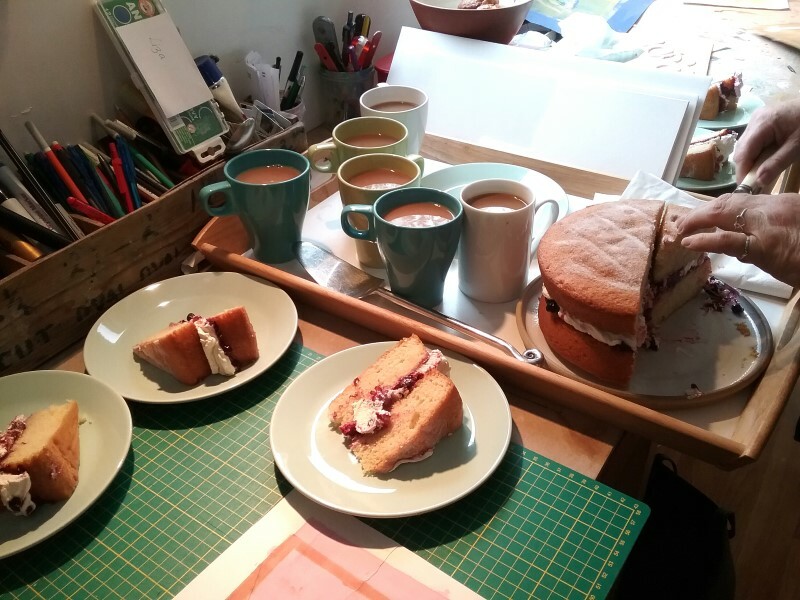 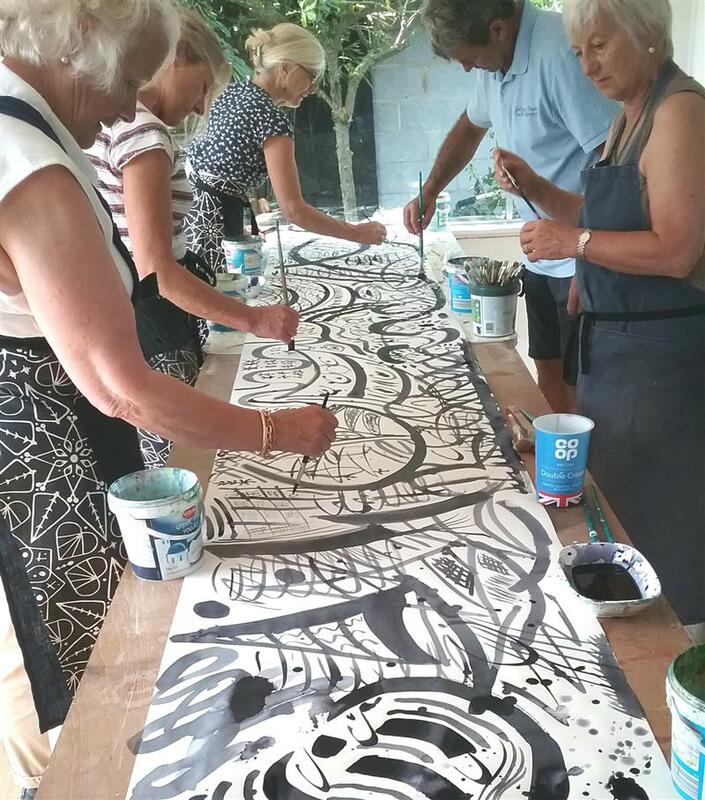 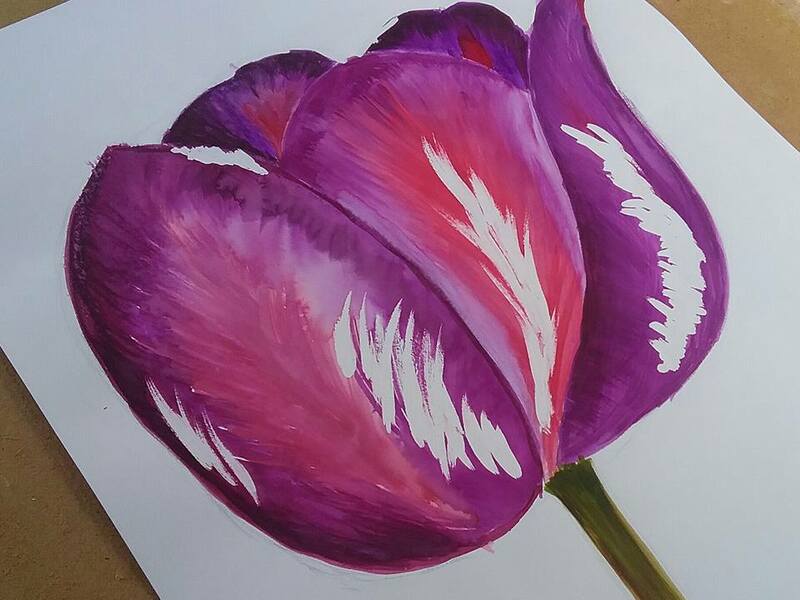 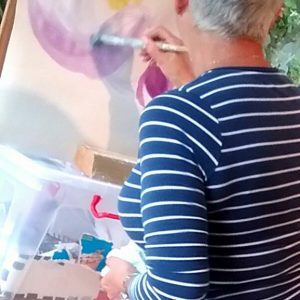 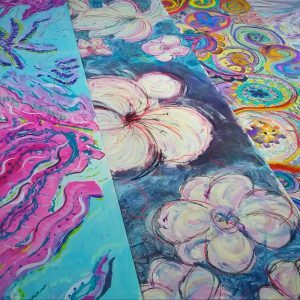 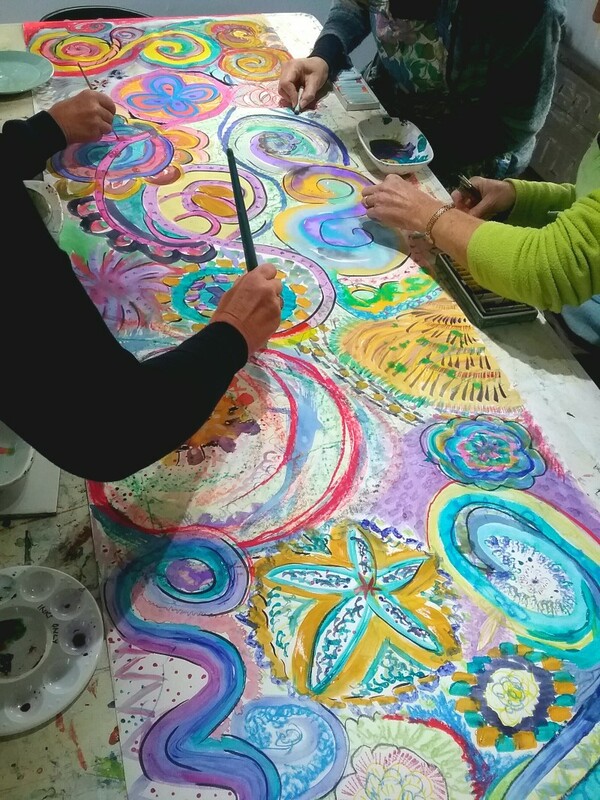 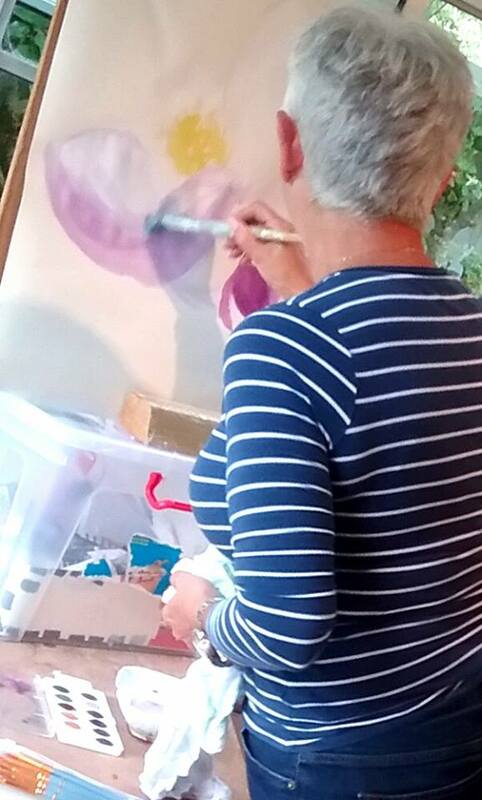 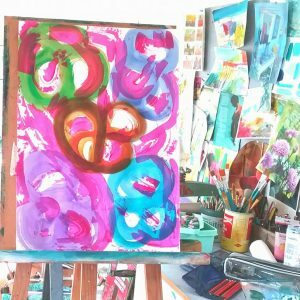 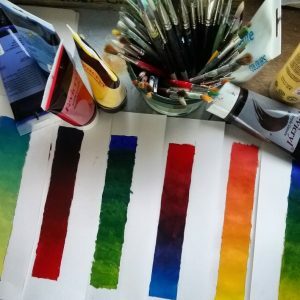 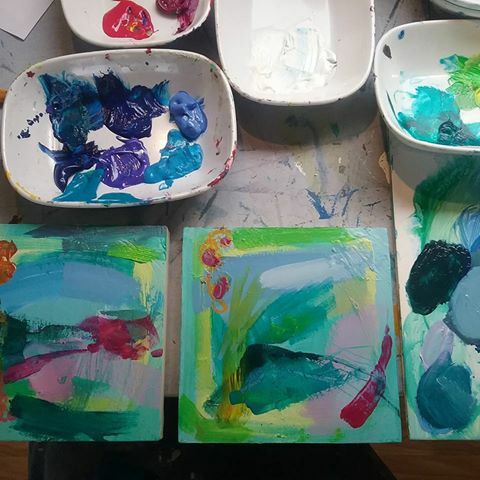 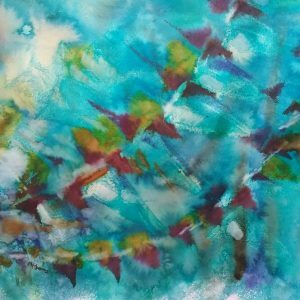 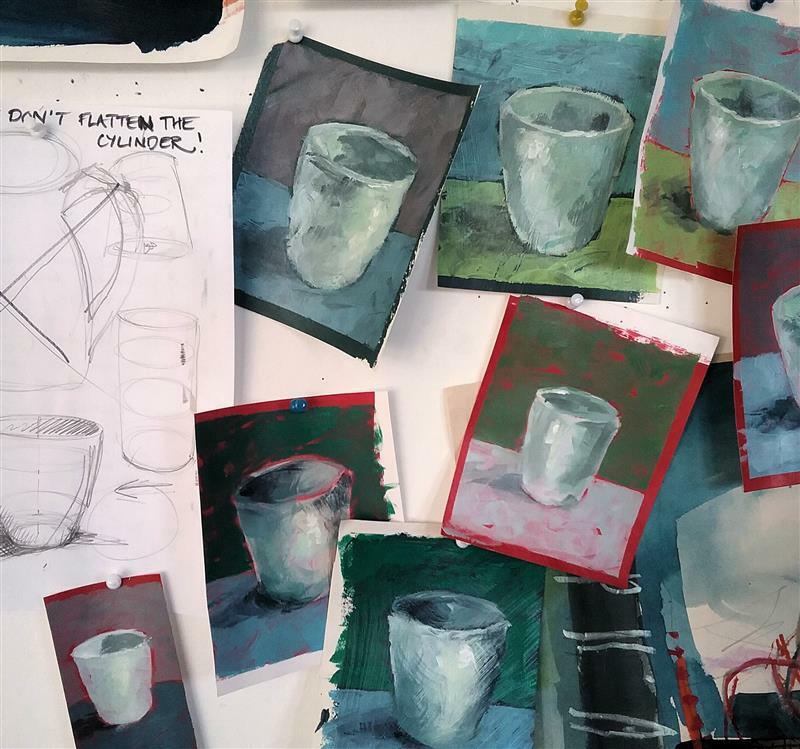 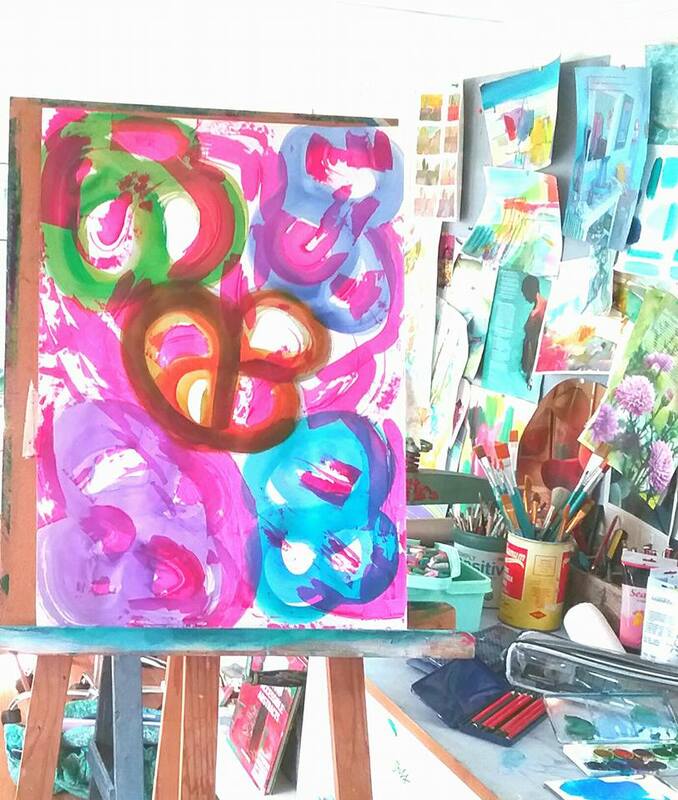 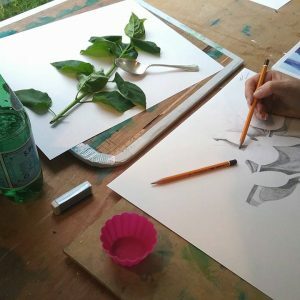 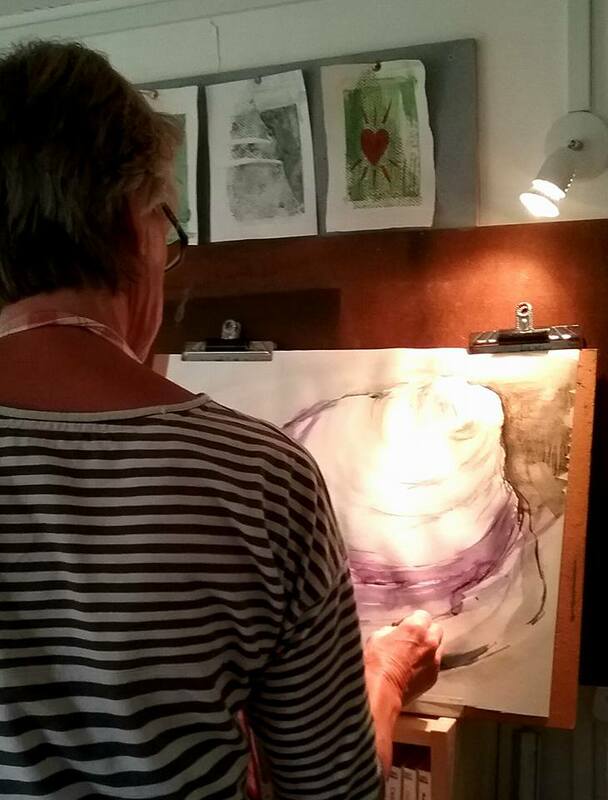 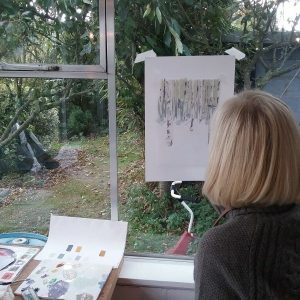 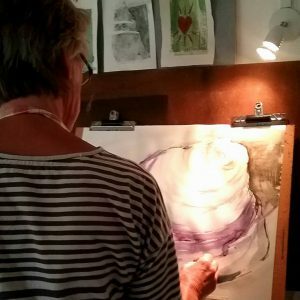 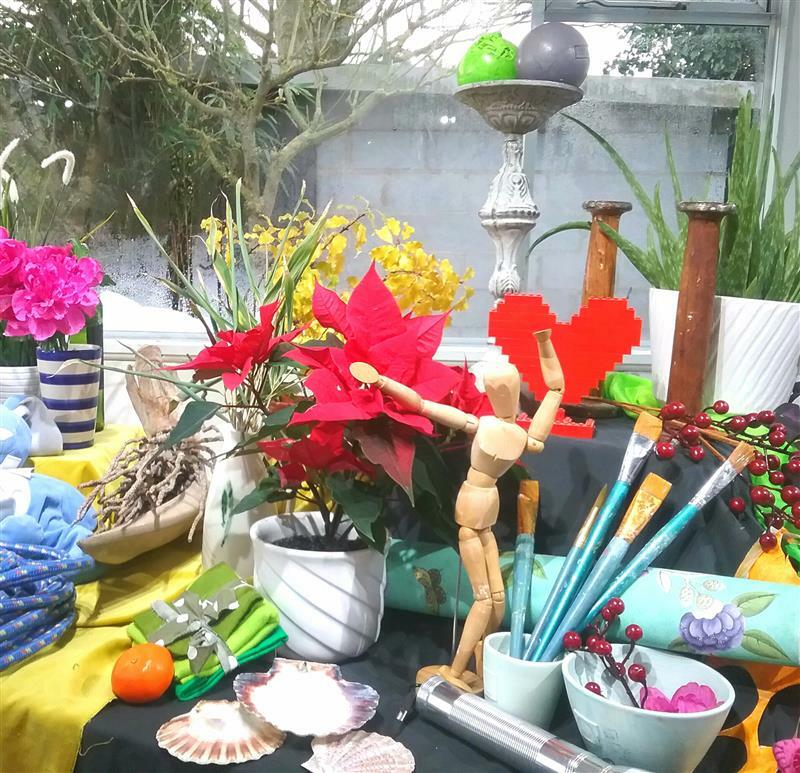 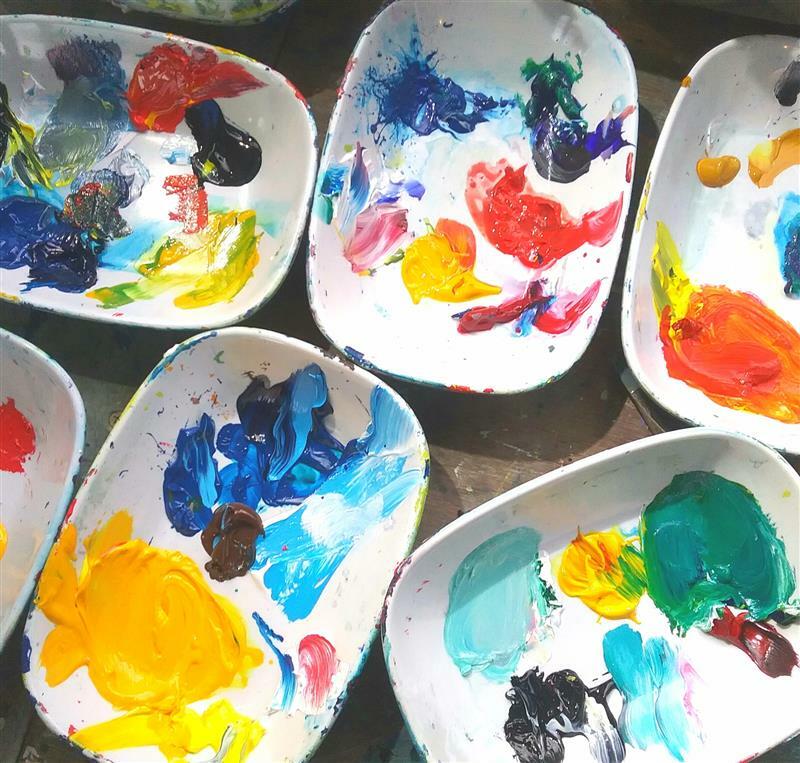 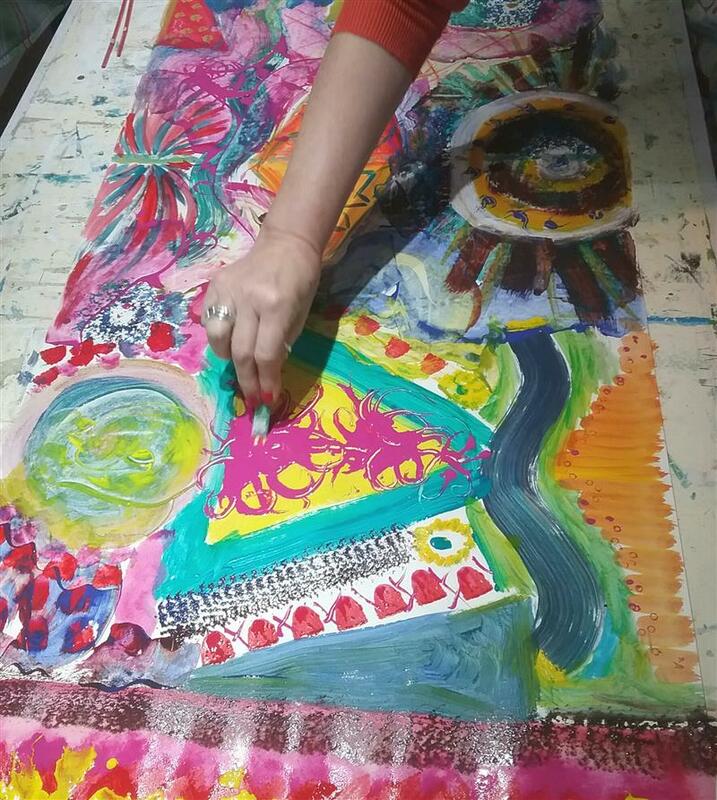 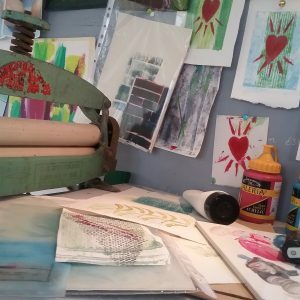 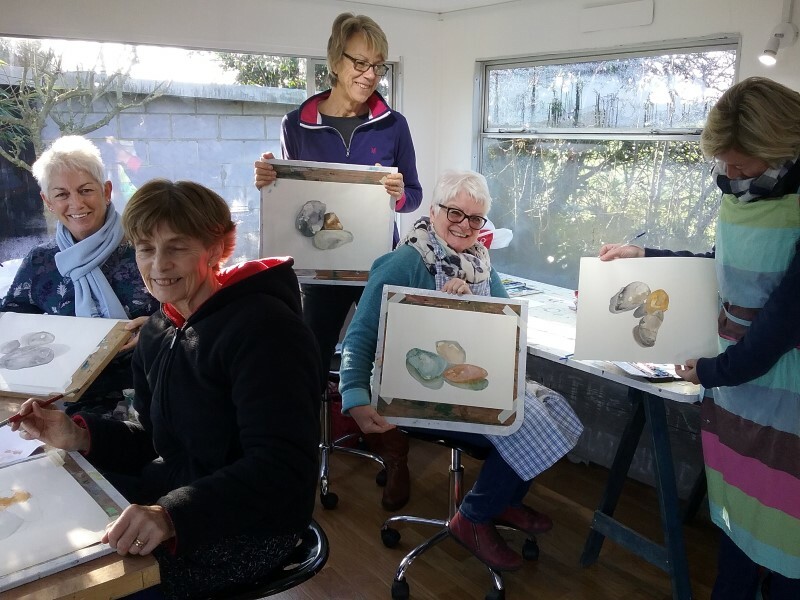 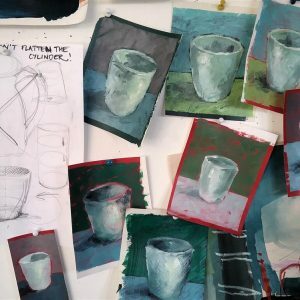 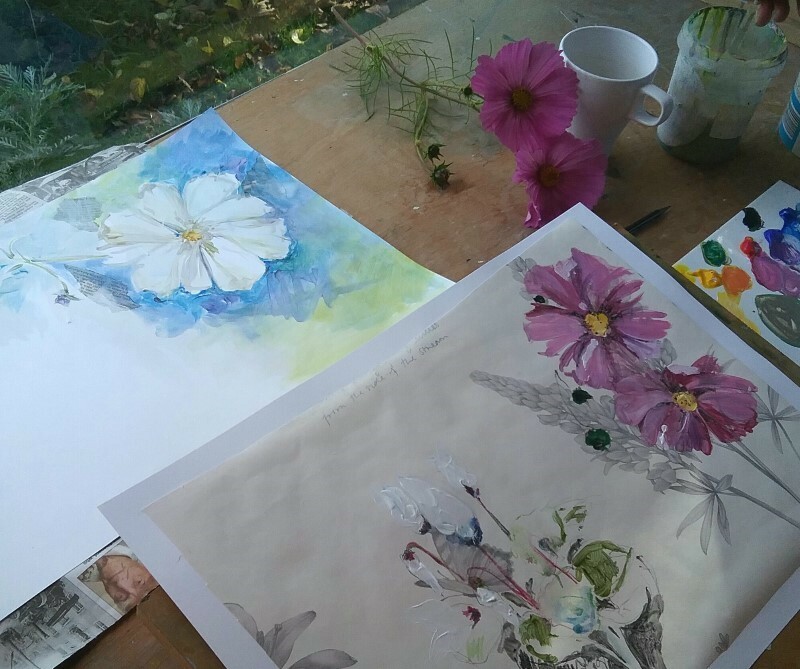 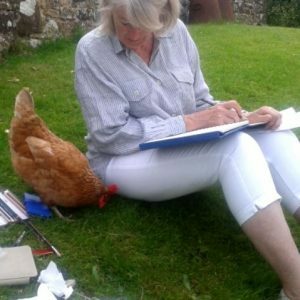 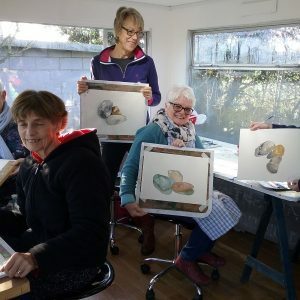 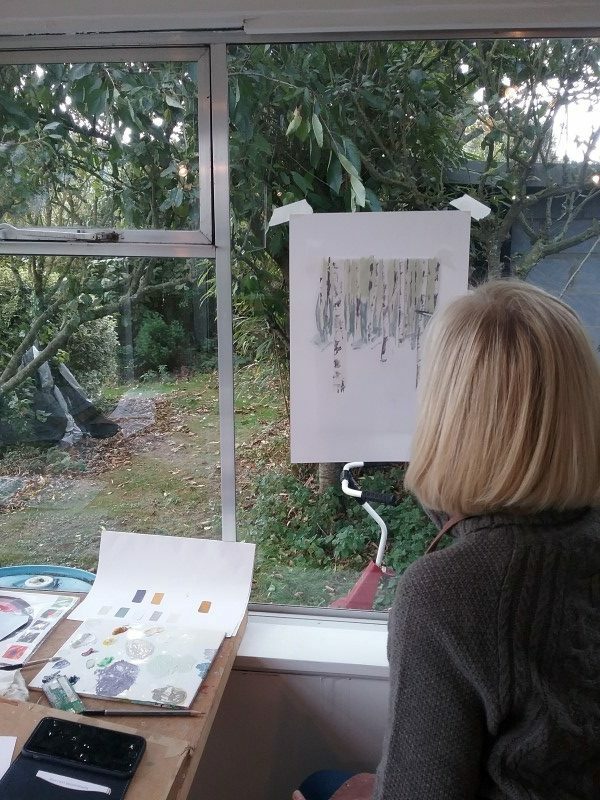 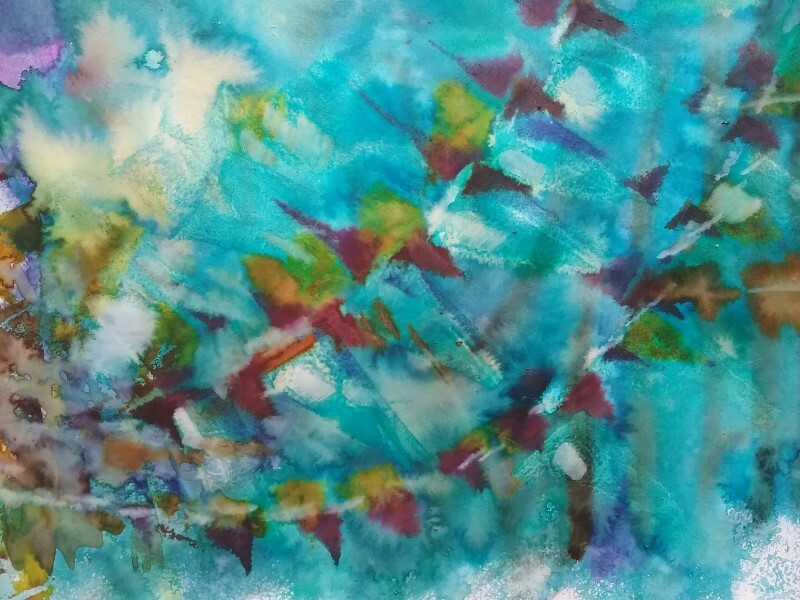 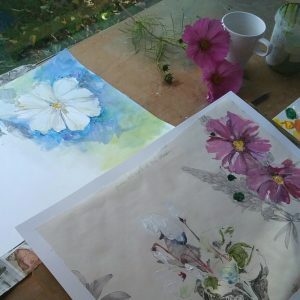 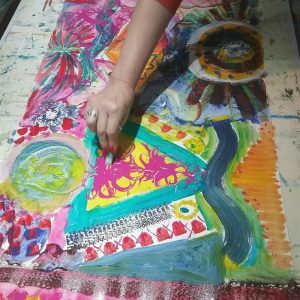 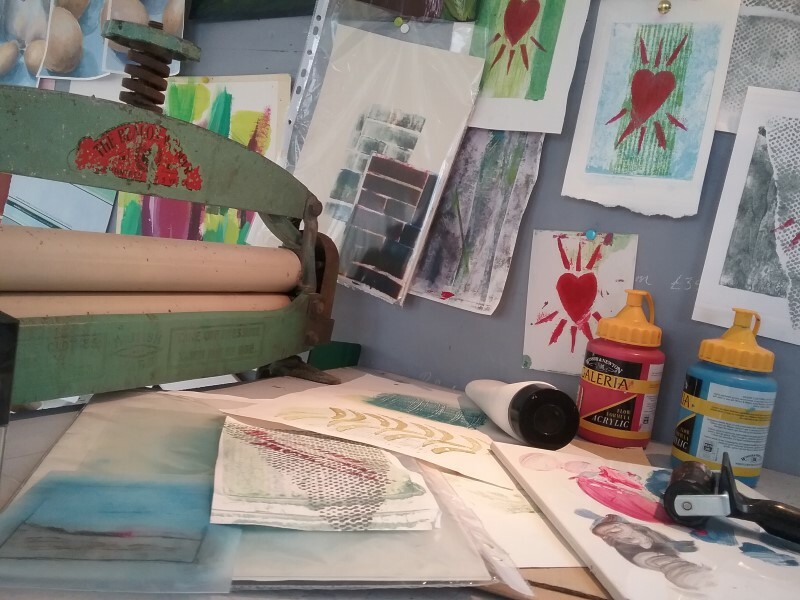 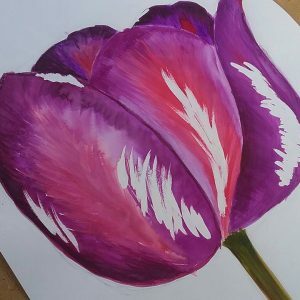 Julie offers Saturday “One-off” art workshops in her studio as well as regular weekly sessions, based on various themes and aimed at all abilities. 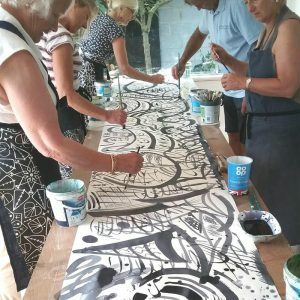 She can also tailor special workshops for groups of friends or family who want to try an activity together which is a little bit different and a lot of fun! 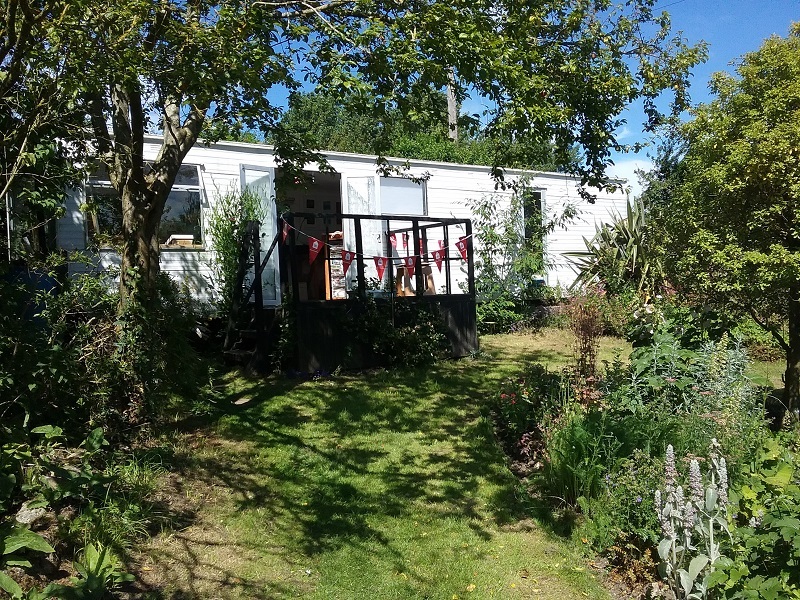 The light and airy caravan she converted into a studio sits in a beautiful and very peaceful garden in Wellow, amongst some of the loveliest countryside on the Isle of Wight. 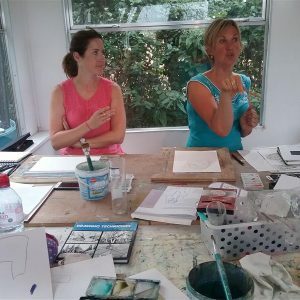 Julie believes anyone can draw. 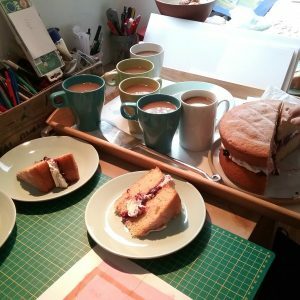 Why not try it for yourself! 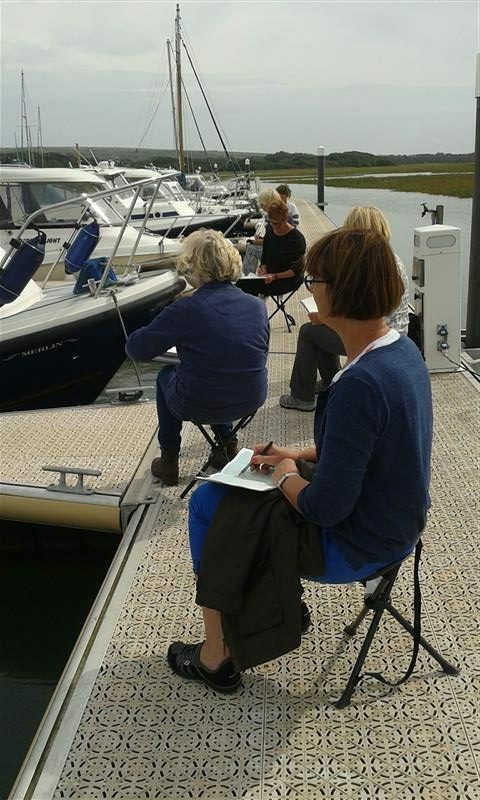 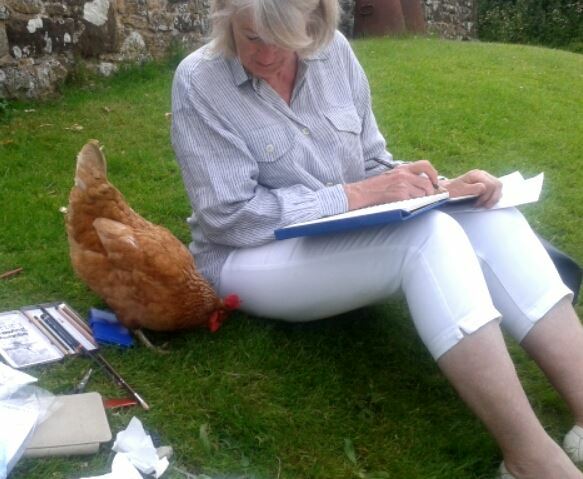 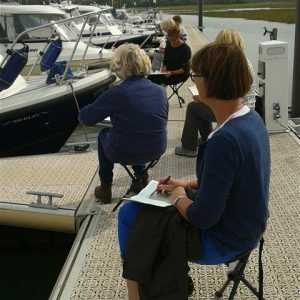 Please contact me for more details about Isle of Wight Art Classes.